The woodburnings are sketches I made on wooden slabs of basswood. The sketches are then burned into the slab of wood, using a hot iron which resembles a soldering iron. Tips can be interchanged to produce various effects such as shading or feathering. One tip allowed me to do a woodburning using dots. The closer the dots, the more shadow is created. 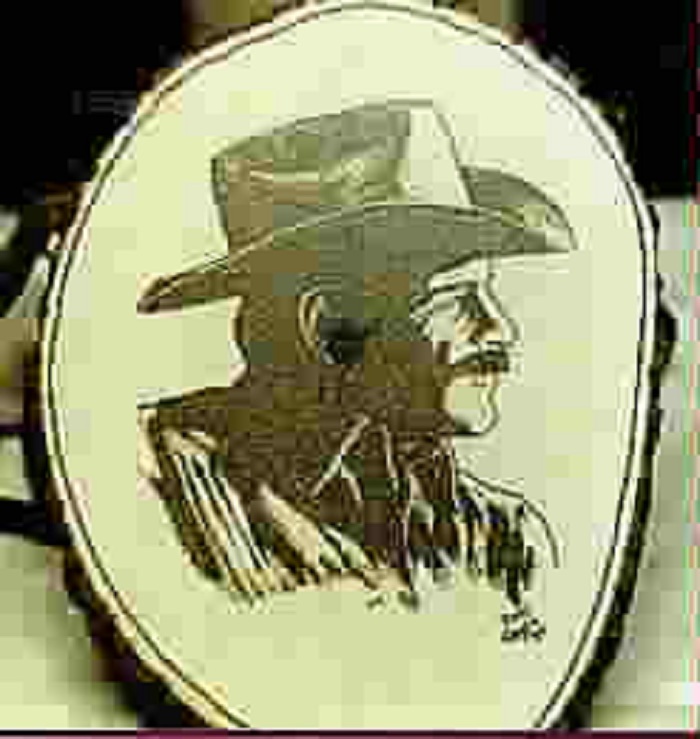 I started woodburning back in 1982. Some of the early woodburnings were from published books. Later, I began to create my own sketches to woodburn. Some, I drew freehand onto the wood, while others were transfered using carbon paper. 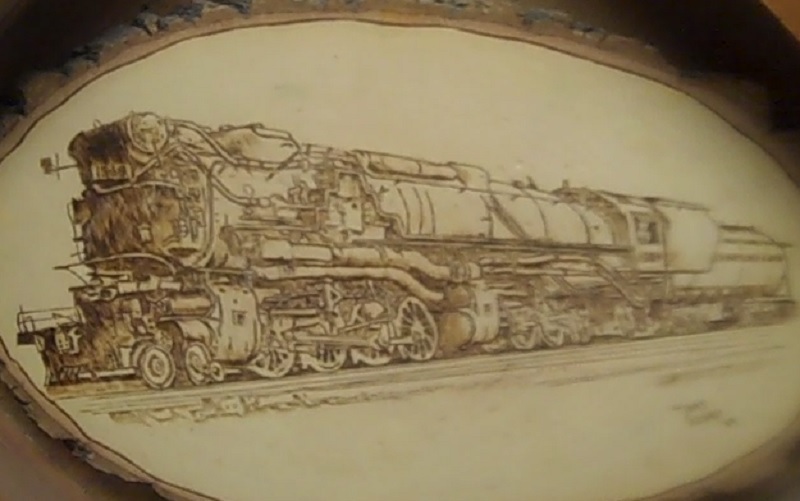 As my interest in model trains and railroading began to evolve, I started doing a few woodburnings of locomotives. I did woodburnings of nostalgic items as well. I entered the Columbia Antique and Art/Craft Show one year. This is a one-day event held in June. I did very well selling smaller woodburnings, as well as a few larger ones. Cashwise, I did well that day for a first time, and was invited to atend the Absecon County Art/Craft Show in New Jersey. Unfortunately, I never did go to that show, and my woodburning interest started to change. Although the day at the Columbia Craft Show was a great one, I never did another show. 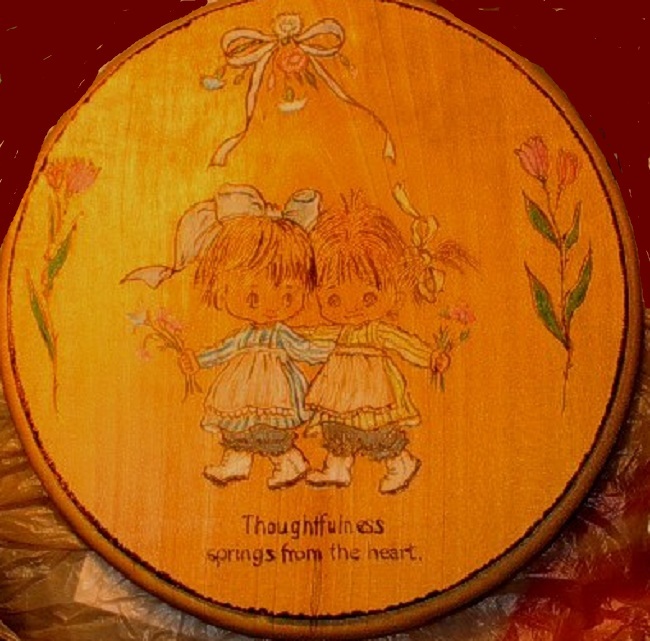 I still do an occasional woodburning now and then if someone has a special request.